Each machine for sale at iMakr is rigorously tested by our engineering team, so we can ensure that we only sell the best 3D printers and scanners, here's our opinion of Scan in a Box. 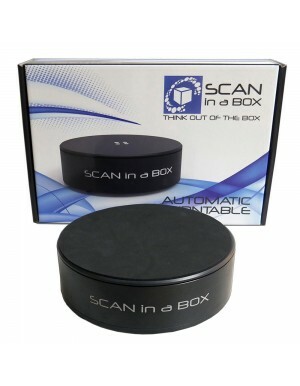 Scan in a Box produces highly accurate scans with a mesh of up to 10 million points. It uses adjustable cameras with a field of view from 100 x 80mm to 400 x 300mm. These scans are joined together easily with the included Idea software to produce a full 3D model. 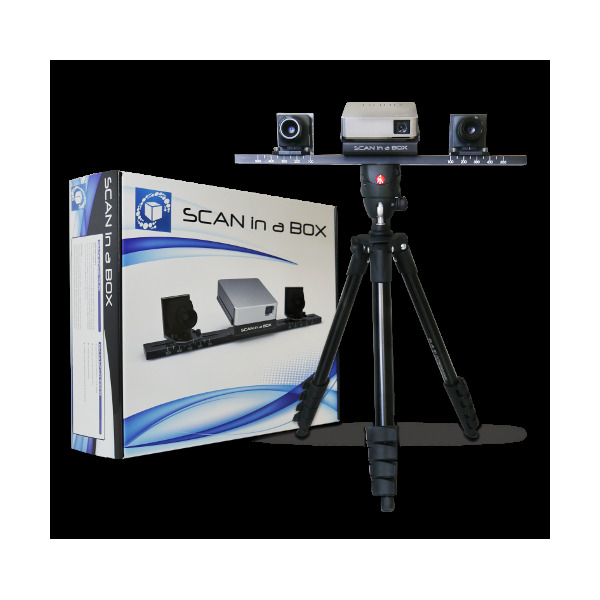 The Idea software is able to scan, join and repair and has many advanced features including surface texture settings. High Resolution: Detailed scans with up to 10 million points and precise to within 0.1% of the original object. Easy to use: Suitable for both beginners and experts, intuitive controls with advanced options. Adjustable: Slide the cameras to set the scan area between 100 x 80mm and 400 x 300mm. 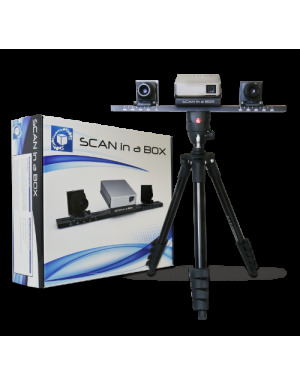 All in one: Scan, combine and repair with the purpose built IDEA software.